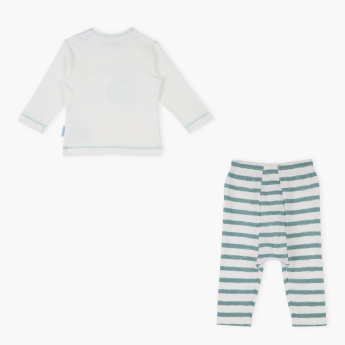 Keep your baby warm and comfortable all day long with this printed t-shirt and matching pants. Featuring attractive prints, this t-shirt with long sleeves has an opening at the shoulder to offer easy dressing. The pants have an elasticated waistband that provides a comfortable and firm grip.